Water heater has a crucial role to play in everyday life, especially when the temperatures are low. However, continuous use of the heaters makes them prone to several issues. We tend to overlook little things, which over a period become the major trouble. Today, we will be discussing the signs that will help you to understand when you need water heater repair. The availability of warm water is essential for several purposes such as baths, showers, dish cleaning, and cooking. Depending on the need, an individual can use the heater for at least 20 times a day. When you are calculating that amount of usage with all the members of a given family, you would know how high is the demand. It is here that you bound to see the signs that tend to slow the functionality and efficiency of the entire system. Water heaters function for a long period when cared appropriately. Besides, the pH content of the water also determines the functionality, as high content causes scaling of the tank. The scaling of the tank causes the heater to lose its efficiency in heating the water. It is one of the major problems. The others are due to a short circuit in the house, electrical wiring issues, the continuous use of the heater, and others. With the load and continuous use of the water heater, you are bound to notice reduced efficiency in the functionality over a period. Every heater possesses a lifespan. Although you can extend the lifespan by a few years with annual maintenance contracts, chances still exist for a repair, replacement of the tank, or the entire unit. Usually, even with regular maintenance, the heater requires replacement of the tank after eight years. If you are the owner of a house, it is time to learn about the signs that indicate a repair or replacement. No product functions forever, including the water heater. The trouble is finding of the expiration date. 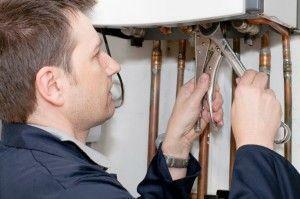 Unable to address this will lead to significant risks that cause the heater to act strangely. The maximum lifespan for a heater is between eight and ten years. You can head a with major repair much before the time, depending on how you use the system. It is preferable to replace if it is too old, shows signs of rust, leakages, and unable to heat the water. Steel is strong, but its weakness is rust. When the material accumulates rust on the surface, it begins to spread, making it impossible for steel to withstand the spread. Noticing the signs of the rust on the water tank and the pipes is a sign that you will experience leakage soon. The only trouble is that you cannot access the exact time of the occurrence of the rust. Another sign that depicts the oncoming requirement for water heater repair is abnormal sounds. When the age of the heater extends, the tanks begin to emanate louder noises due to the buildup of sediments over the period. Even if there are noises in the heater after annual sediment cleaning, then there lies a serious problem and requires a repair or replacement. When the lifespan of the tank nears its age, you can notice an accumulation of water on the floor around the water heater. It means that there is a leakage. The general signs are the expansion of the water tank, rust, and exposure to thousands of heating cycles. In some instances, connections and fittings, and pressure through the pipe are also responsible for the seepage of water. You can quickly attend two these two problems. If the heater fails to deliver the output even after the repairs, then it is time to replace the unit. Is repairing beneficial over purchasing a new unit? When we talk about repairs, there is always a cost involved. 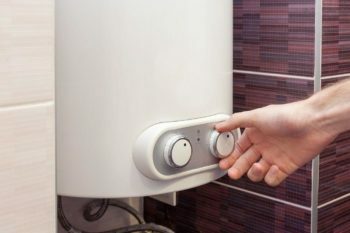 Given that water heaters are not complex, but the availability of the spares, the damage caused, and the labor charges could make a lot of difference. For instance, if you want to head with a repair of your eight-year-old heater, the quotation you receive is bound to be expensive because of the sparse availability of the spares. If you choose to reduce the cost, you can opt for the local spares. However, you will end up with repairs within a short period given that the spare parts purchased do not function like the originals. It is a tough call to make between repairing an existing water heater or purchasing a new model. However, consulting with the experts will give you an insight into the problem, the estimation of the repair and whether it is time for a replacement. You can then take the decision based on what is right for you and the pocket. So, if you have a water heater repair requirement, do check out John’s plumbing located in Olympia, as they have a reputation for offering quality service and customer satisfaction. You can speak to the experts or make a reservation about the problem that you are facing with the water heater. Depending on the suggestions provided by the professional, you can choose to repair the same or head for a new model, for which, you can seek the advice of the same person.